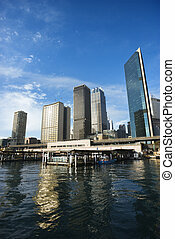 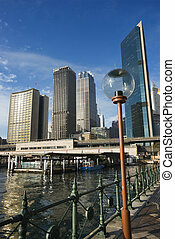 Circular Quay Railway Station in Sydney Cove with view of downtown skyscrapers and lammpost in Sydney, Australia. 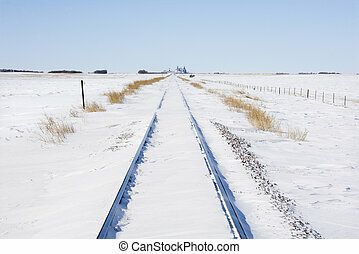 Railroad tracks in snow covered rural landscape. 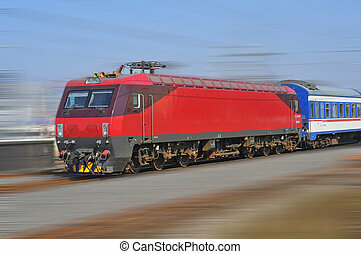 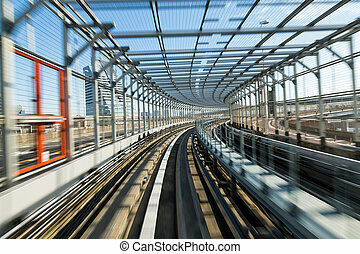 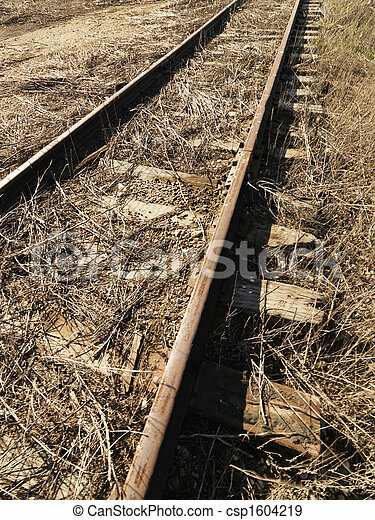 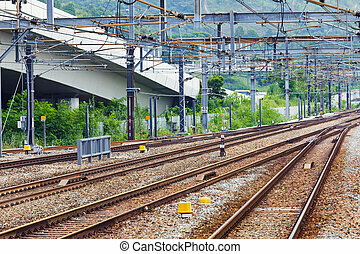 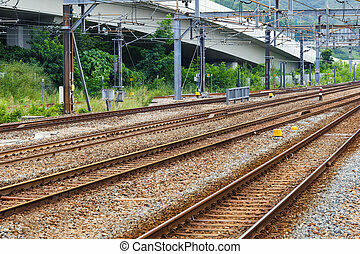 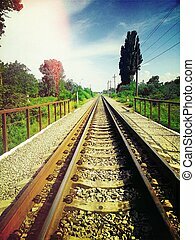 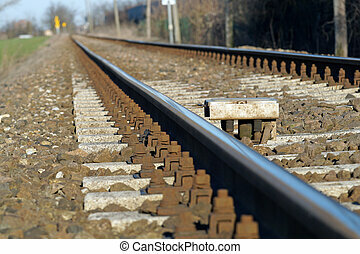 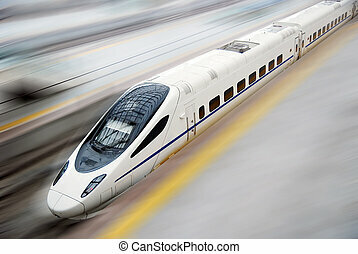 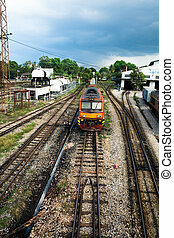 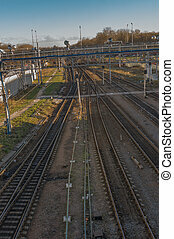 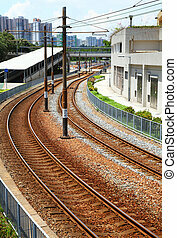 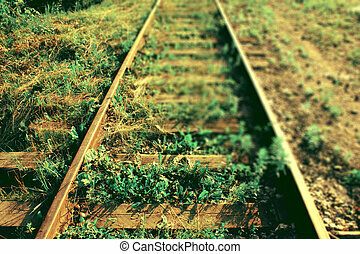 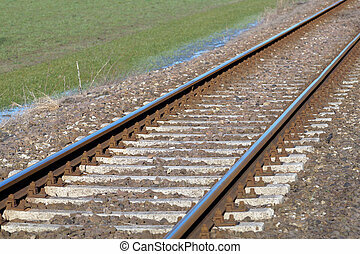 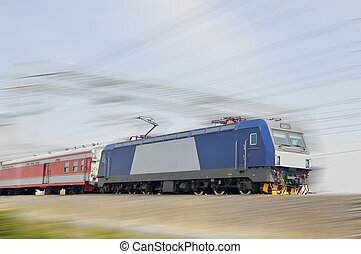 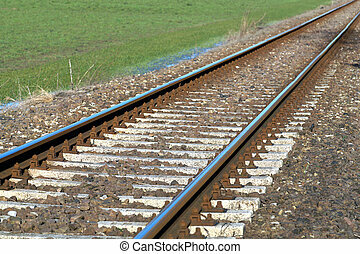 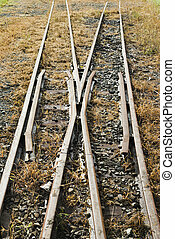 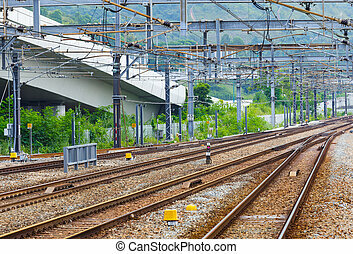 Railway track turnout breaking into two different directions. 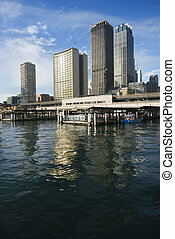 Circular Quay Railway Station in Sydney Cove with view of downtown skyscrapers in Sydney, Australia. 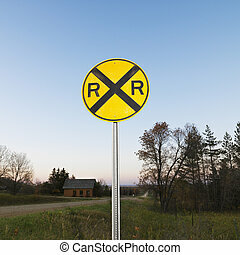 Railroad crossing sign against white background. 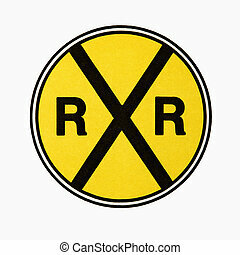 Circular yellow railroad grade crossing sign in rural setting. 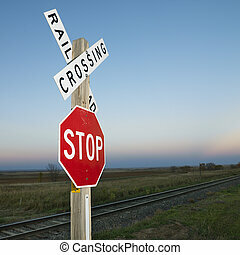 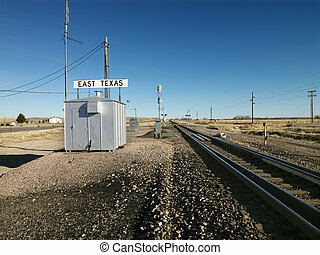 Railroad crossing and stop signs beside railroad tracks in rural setting. 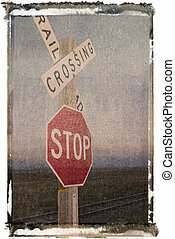 Polaroid transfer of railroad crossing and stop signs beside railroad tracks in rural setting. 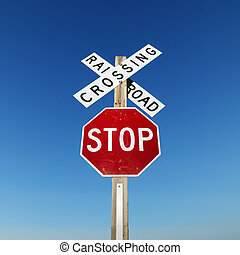 Railroad crossing and stop signs against blue sky. 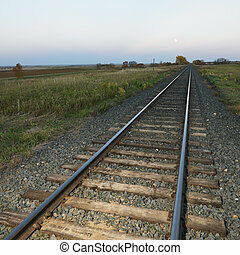 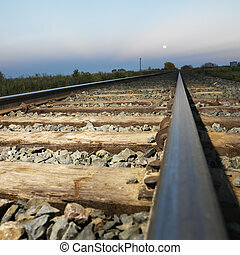 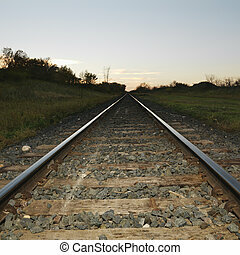 Low angle diminishing view of railroad tracks in rural setting at dusk. 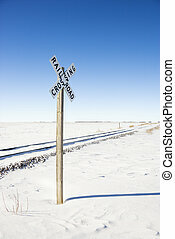 Railroad crossing sign by tracks in rural desolate snowy landscape.